Not many candy companies can claim ties to the billion dollar beauty industry, but Bittersweet Toffee Company™ has a deeply rooted connection. Since 1980 BTC Founder Duane Clark has also owned upscale hair salon Simply Duane, which caters to the tresses of some of Chicago’s finest working professionals. Duane’s popularity as a hair stylist often created long waiting times. To make the wait more enjoyable, he brought his homemade sweet treats to the salon. The edible delights proved to be a huge hit! 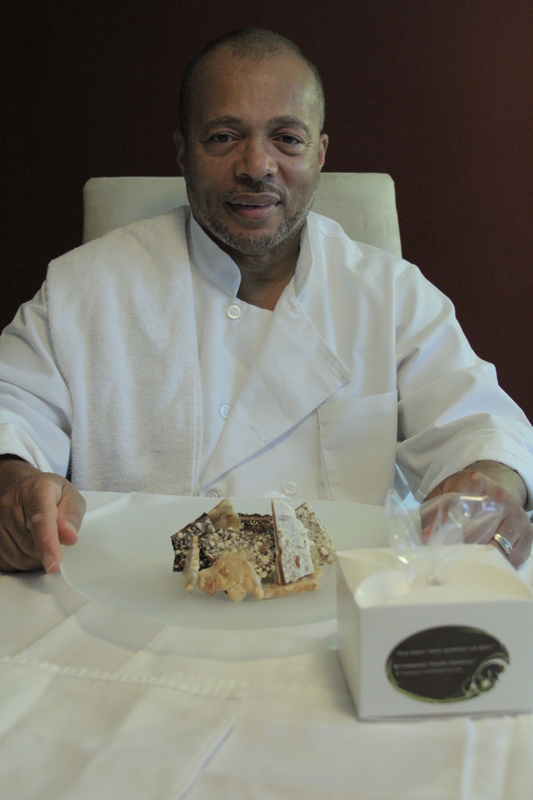 One client, Hollis Gibson, was so impressed with Duane’s treats that she suggested he attend culinary school to expand and perfect his cooking skills. Ms. Gibson went so far as to recommend the ideal learning academy – The Cooking & Hospitality Institute (CHIC) in Chicago. So, in 1993 Duane began a two-year educational odyssey at CHIC that ended with an Associate Degree in Applied Science in Le Cordon Bleu Culinary Arts. After completing his culinary studies, Duane continued to operate his successful hair salon with plans of one day opening a full-scale restaurant. In 2005 those plans began to manifest when he purchased a 1300 square foot raw space on Chicago’s Northwest Side. While converting the space into his dream kitchen, Clark spotted a television commercial for a popular candy company. The idea struck him – since he loved to create delicious treats and people loved to eat them it only made sense to start building his own confectionery empire. And the rest is Bittersweet history!